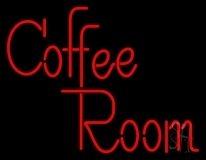 Coffee shop neon signs are sure to influence your customers and bring them in. Coffee shop neon signs have been in rage since decades so make your coffee house a standout out with coffee shop neon signs. Clearly visible in the day and gleaming and glowing in the night, coffee house neon sign will make those caffeine addicts and brew lovers to drop in and have their fix. 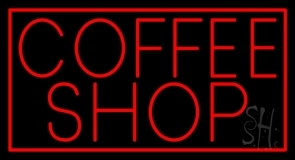 With or without flashes, your coffee shop neon sign is sure to add bundles to your pockets. We bring various different options of coffee house neon signs from retro looking coffee neon sign to blinking text coffee shop neon signs. 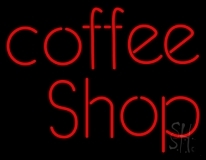 Our coffee house neon signs are best in quality and are durable enough to enlighten your shop for decades. Our custom built collection of coffee shop neon signs gives you the option of selecting bright glowing colors, fonts and frames that would give a differently new look to your coffee shop. 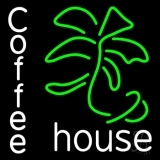 Bring in warmth and comfort to the ambience of your coffee house with our customized coffee house neon signs. With your own design, logo and image, our designers will create a spectacular looking custom coffee shop neon sign that will add wonders in the eyes of your potential customers. So give your abstraction over your personalized neon and get your customized coffee shop neon sign that best suits your setup. 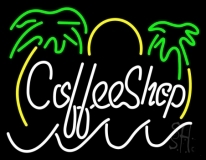 Get your coffee shop neon sign today!